I pondered my choices for this exercise, I really enjoy street images with a twist of humour by photographers such as Elliott Erwitt and Matt Stuart yet I felt that I had already touched on street photography in assignment 3. 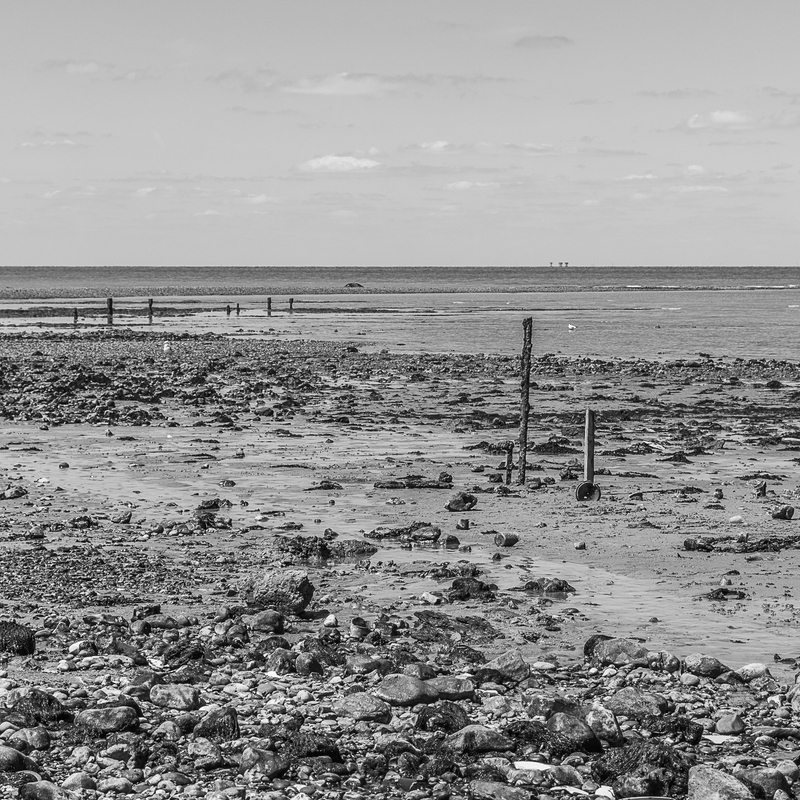 I also like the work of Robert Doisneau, however I decided that the one element that I had not yet explored was landscape photography. However on the day I went out to photograph it was a clear blue sky and my timing was not ideal as I only had the middle of the day to work in so no long shadows were available. 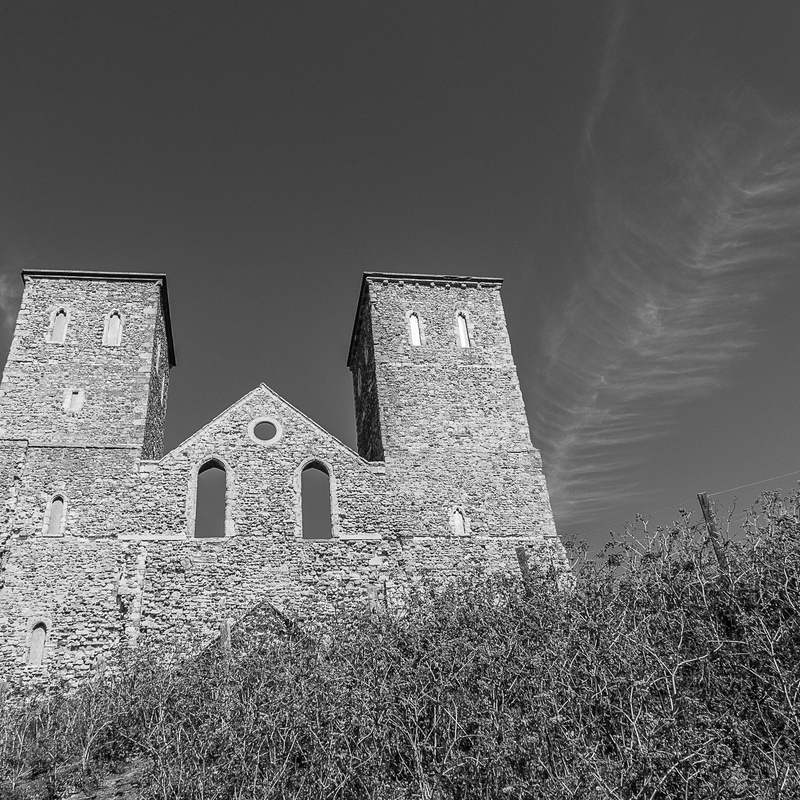 This meant that I also did not have the atmospheric skies to work with however I still tried to harness the style of Fay Godwin and relate to other examples of her work. 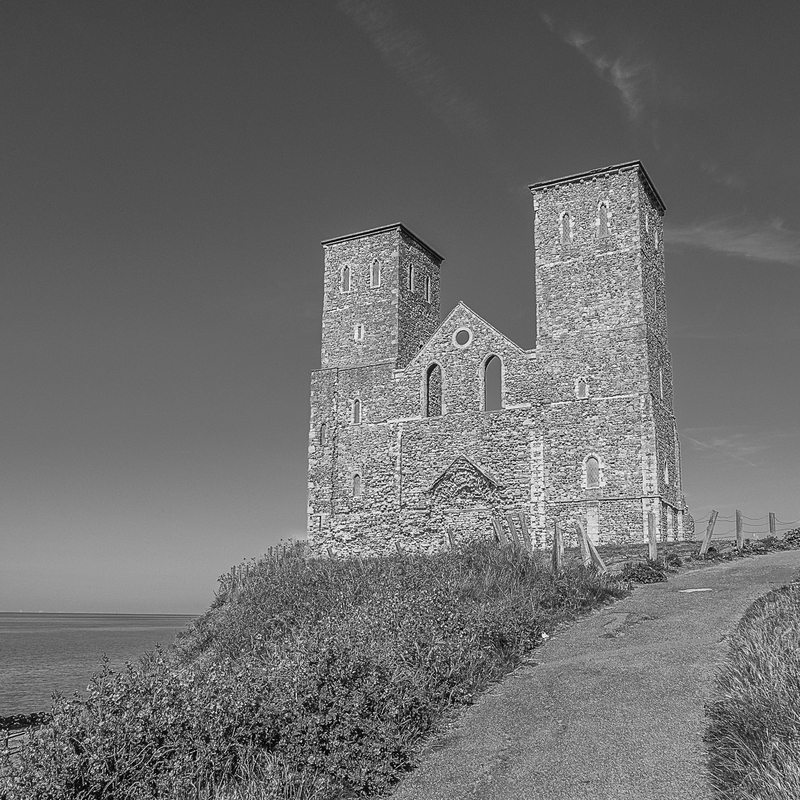 Fay Godwin was apparently a keen rambler and her images appear in many guides, the area I visited was in fact Tankerton and Reculver, areas which Fay Godwin would have covered in her series on the Saxon Shore Way which runs from Gravesend to Hastings. 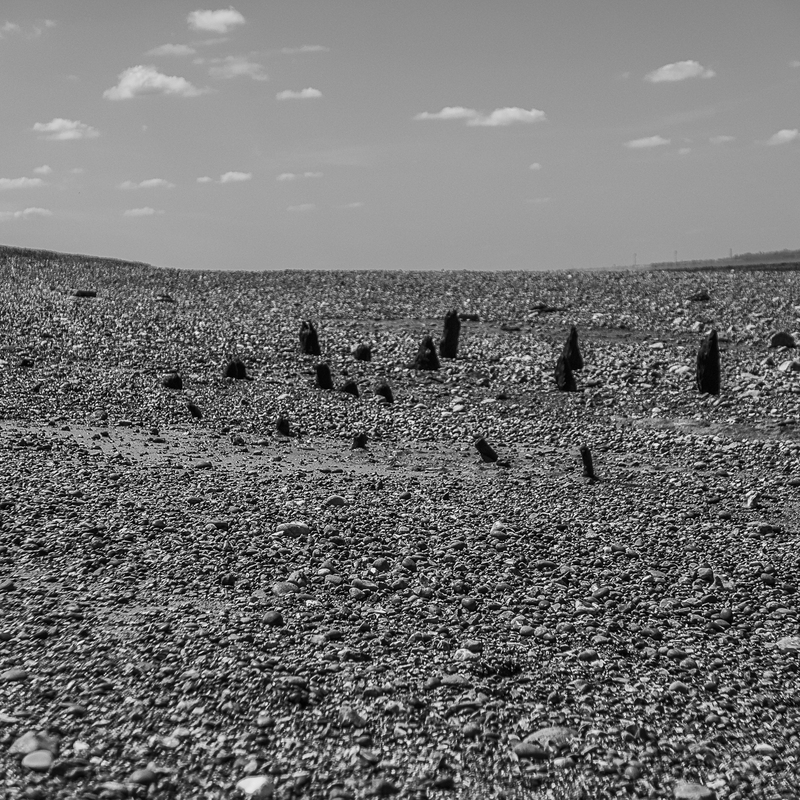 Aside for capturing beautiful landscape scenes Fay Godwin was a documentary photographer, documenting the landscape and its abuses and changes. 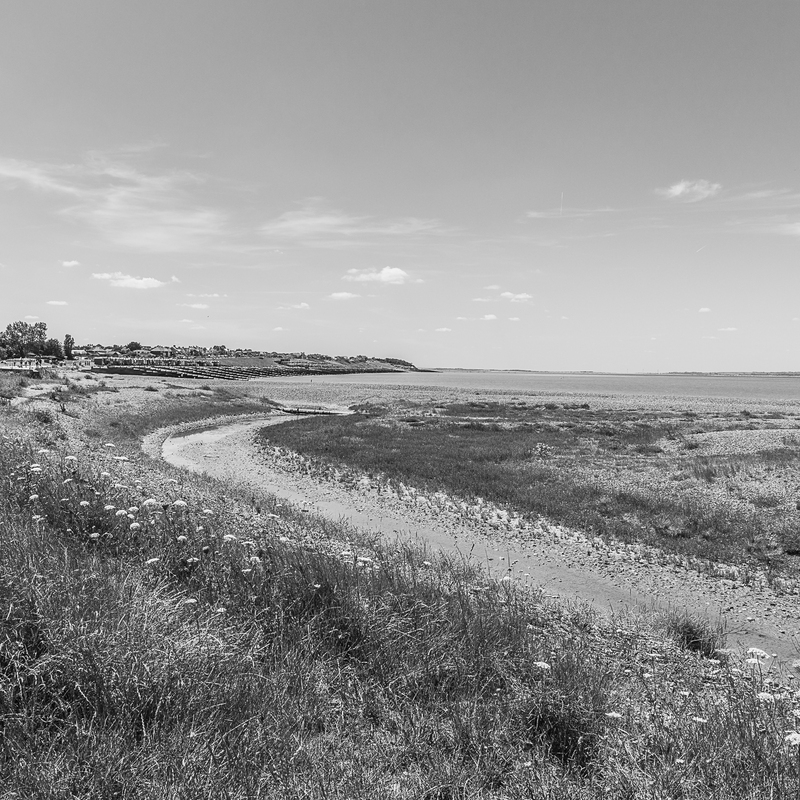 Her book ‘Our Forbidden Land’ was quite political in that it showed the selling off and closures of public by-ways and land and areas that public were no longer permitted, I believe Fay Godwin was quite an activist for the environment. 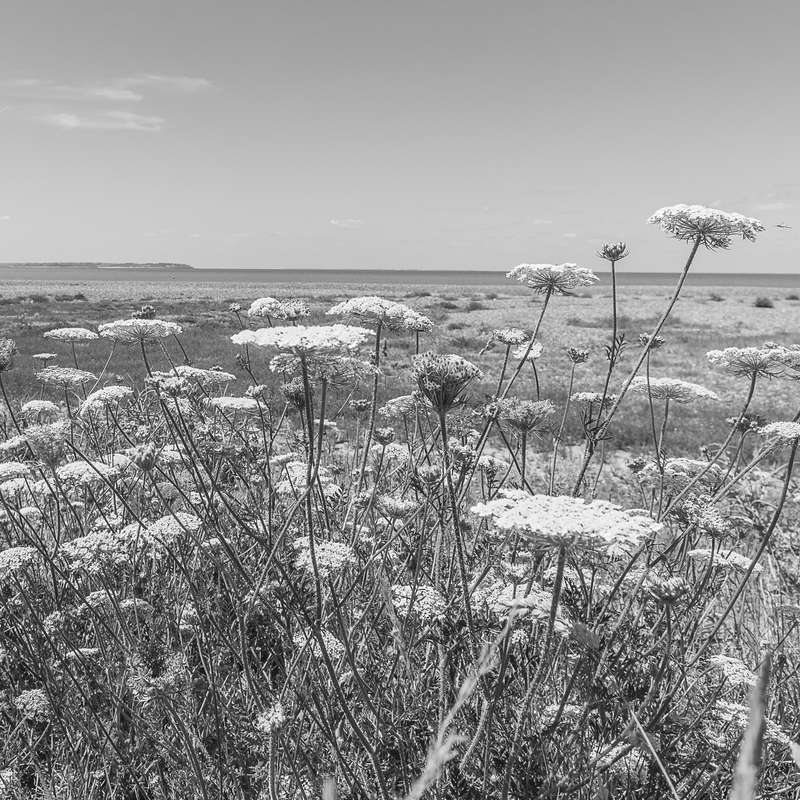 In Fay Godwin’s image above, I am struck but its simplicity yet drawn to the various tones and shades that exist in both the image and nature. If I were to consider the types of information Barrett alludes to then the internal context would be : The deep depth of field showing the land, both natural and cultivated in the distance. My eyes are drawn to the horizon along these lines and then my eyes traverse the image to take in the single tree framed by the large cloud. 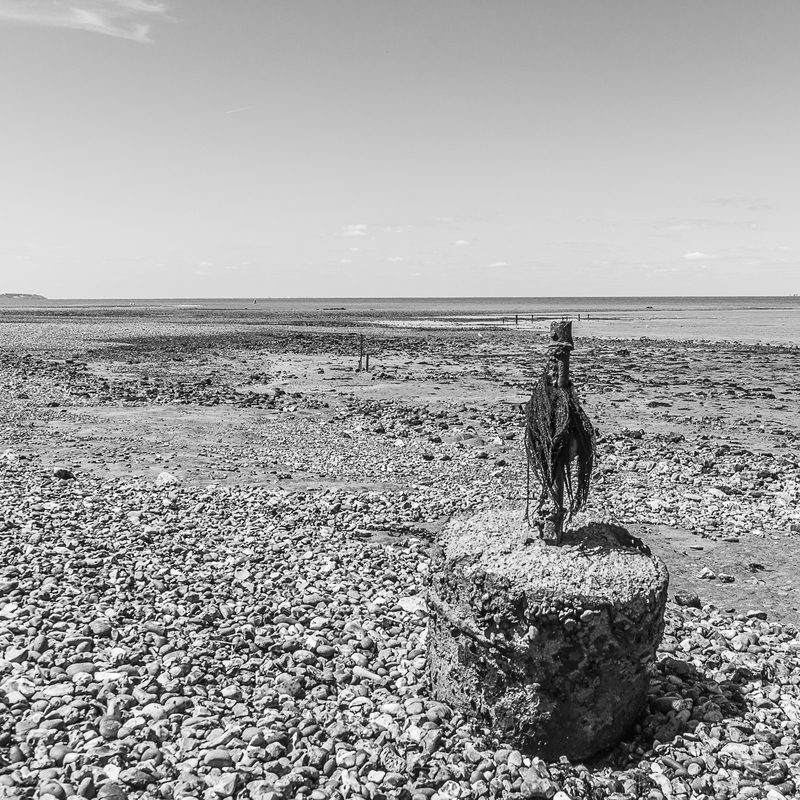 I believe the original context would be Fay Godwin’s intent which was not only to celebrate the landscape but to draw attention to its use by man. In this image we can see the cultivated fields, but perhaps the intent is to consider the single tree, were others removed so that man could farm the land? What is the future of our countryside if it is to be turned over for man made use rather than wild as nature intended? The external context would have been the presentation of this work, I believe this image was part of her ‘Land’ series which explored the use of land and hinted at the exploitation, it was Fay Godwin’s latter book ‘ Our Forbidden Land’ that took a more political stance and showed destruction and commercialism and tried to hint at the future of the land. This external context is what helps me to formulate my opinion on her original context. 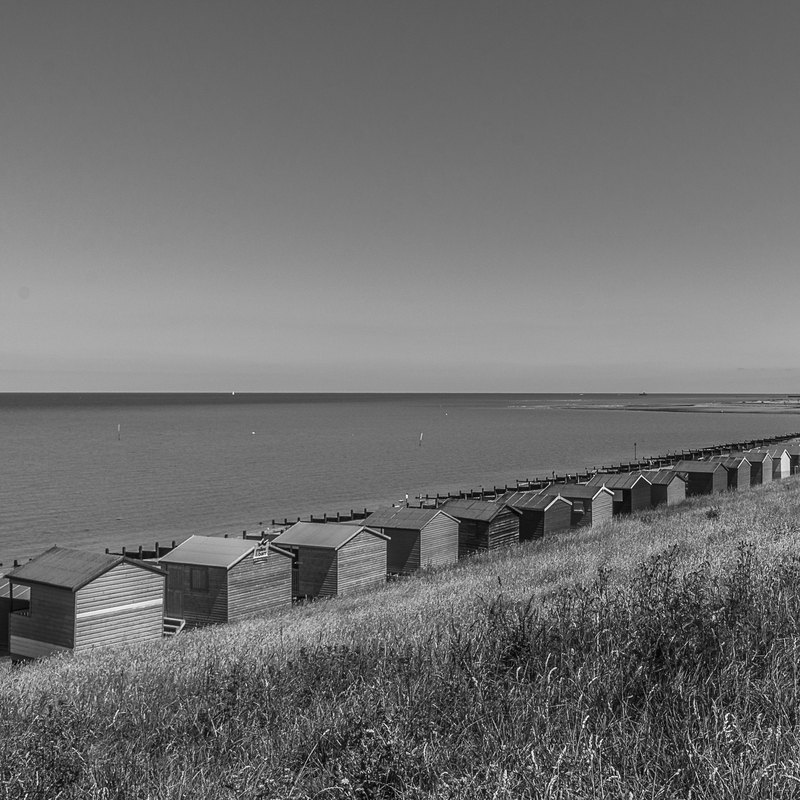 Despite my clear sky I focused on the leading lines and contrast as well as keeping the images in monochrome. 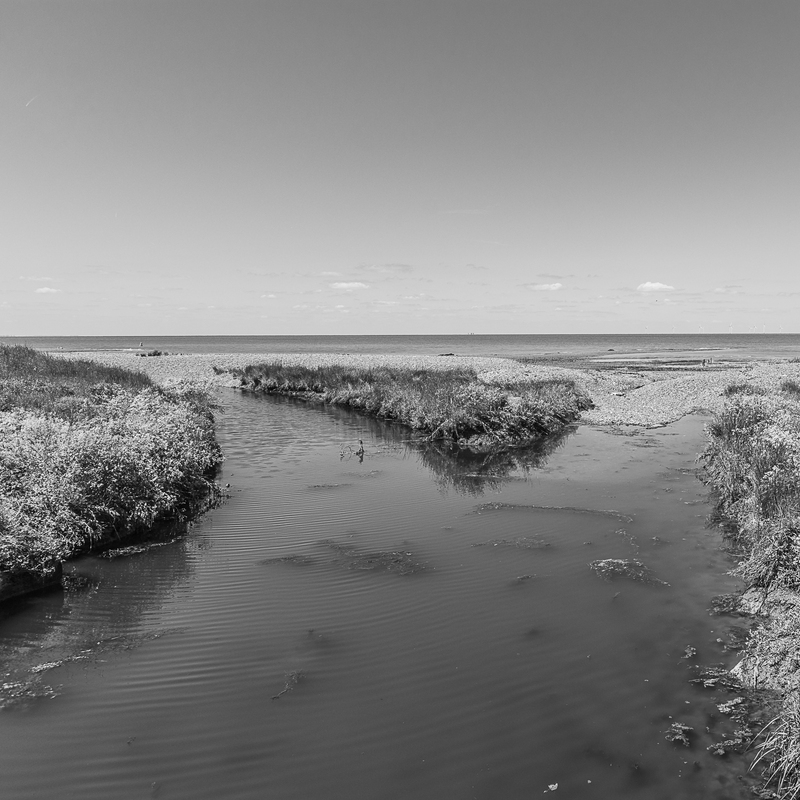 I focused on the element of man-kind within the landscape both in a positive view as well as the blight on the landscape. 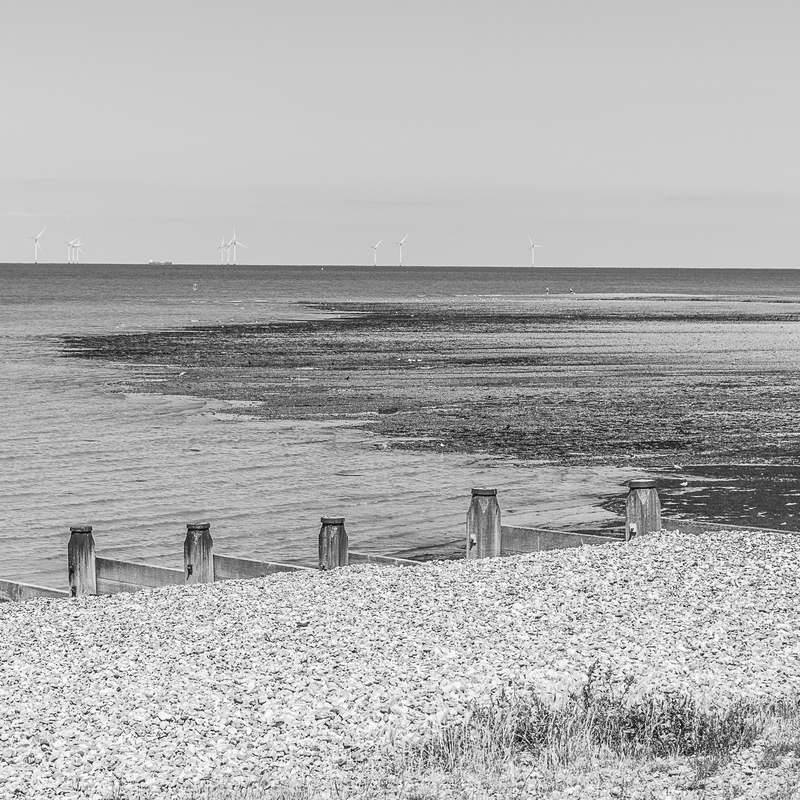 I think that if Fay Godwin was trying to show something in this decade it would be the waste and rubbish that blights nature. I have noticed from images seen online of her books and exhibitions that her photographs appear to be presented in a square format, this may not be the case for all of them but certainly the ones I viewed. In light of this I cropped my images into a square format to further mirror her style. 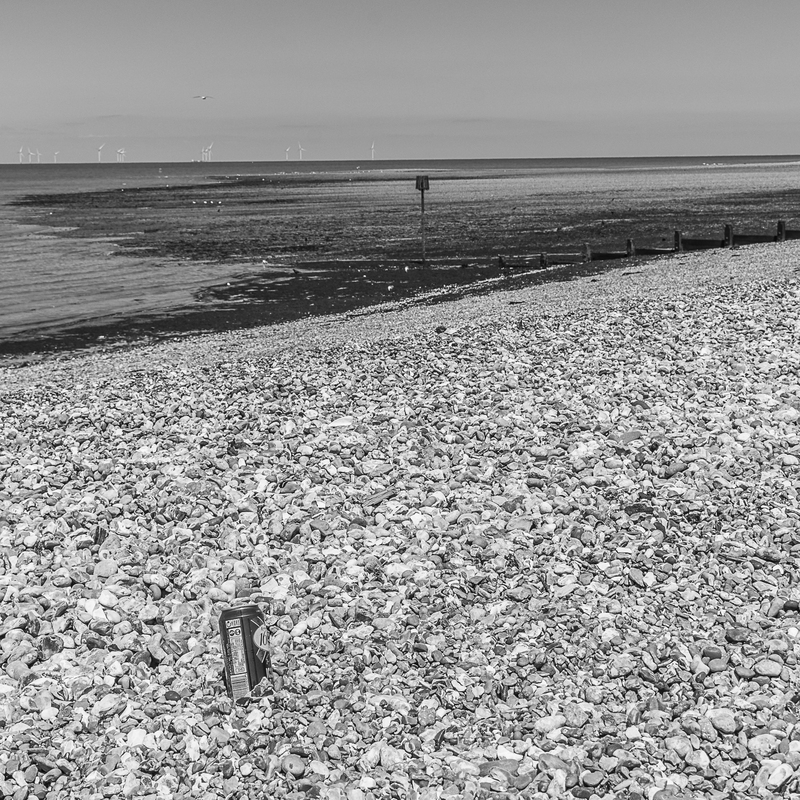 The above images highlight the blight of man on the environment, In the first image a lager can is left in the shingles standing tall to mirror the groynes and wind turbines (another man-made element) in the distance. 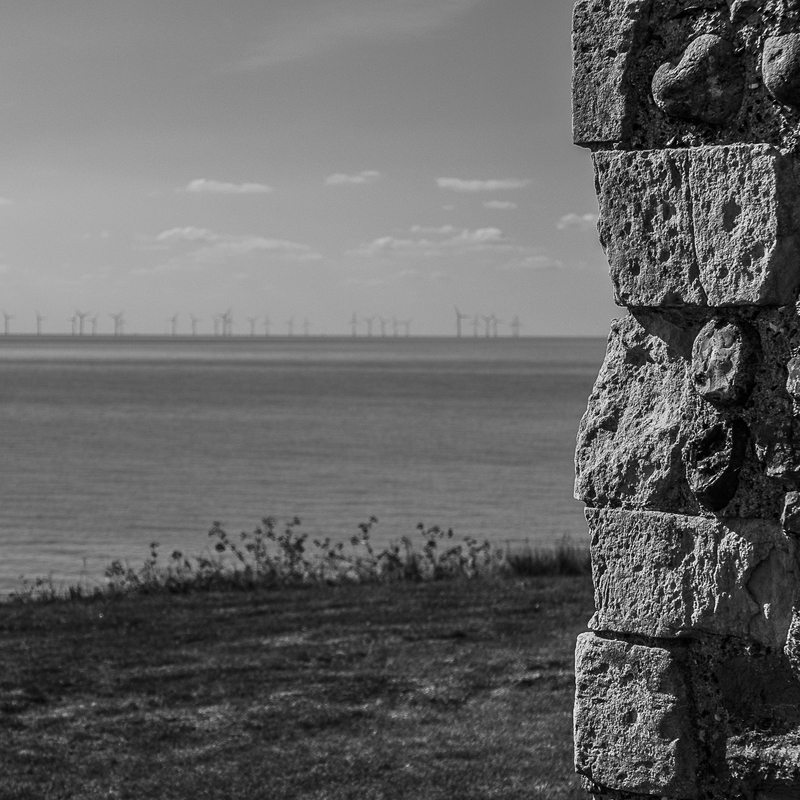 Internal context: The beer can is hidden in the shingles, not obviously clear on first glance, your eye is then drawn across the diagonals of the image to the previous additions of man , the groynes , the wind turbines barely visible in the distance. 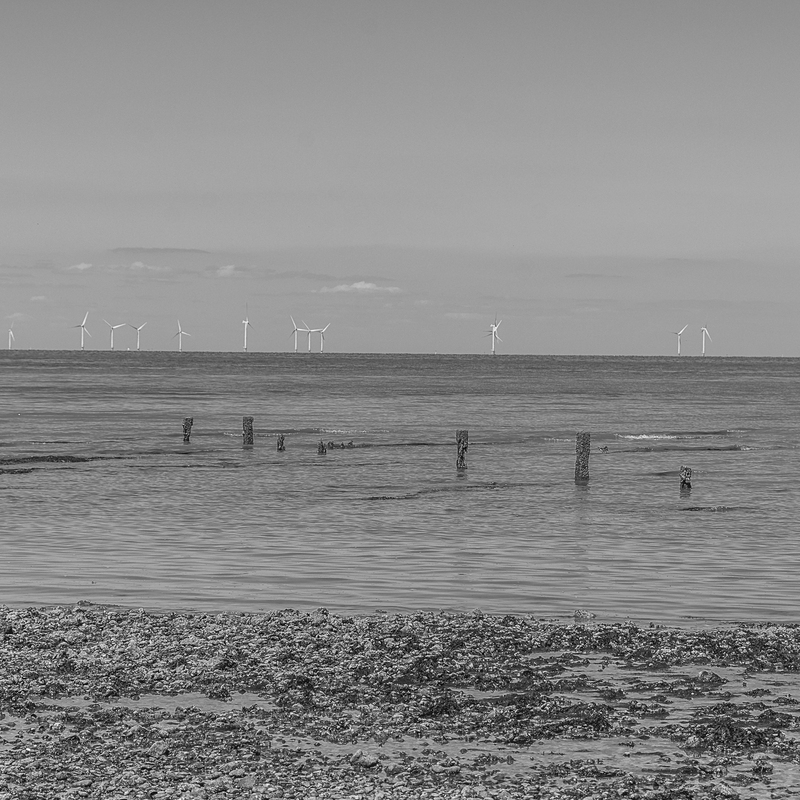 Original context: The landscape was once blighted by man with the addition of groynes, these now appear to be at one with nature, we are accepting of the wind turbines which have been added sympathetically , does this mean the we in the process of accepting litter to nature in the future? The beer can planted as if it intends to grow? 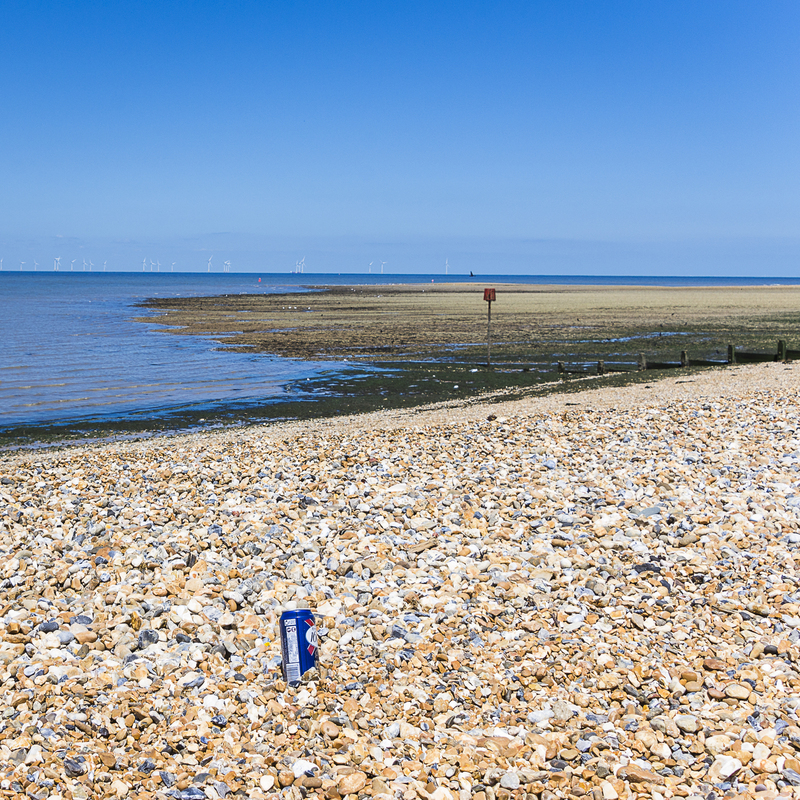 External context: In the pages of a magazine (If the beer can was to show its label) it could almost be an advertisement for beer, a cold beer on a desolate beach offering peace and tranquillity, yet this is far removed from its original intent. As part of an exhibition or a book it could been seen alongside a series of images to add strength to the documenting of waste in nature. 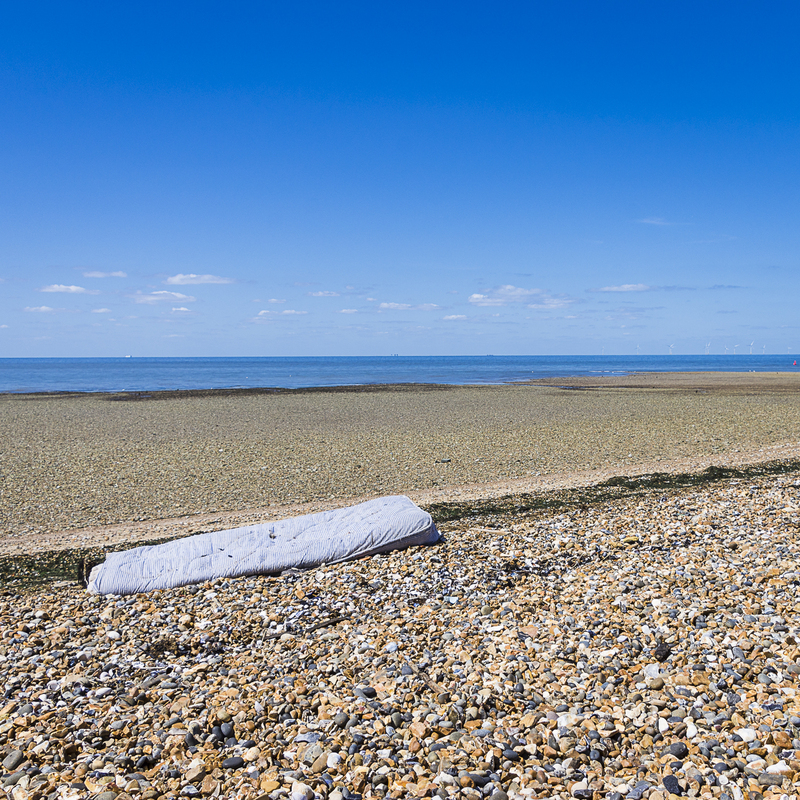 In the second image a mattress is laying prone on the shore, resting with the tide! 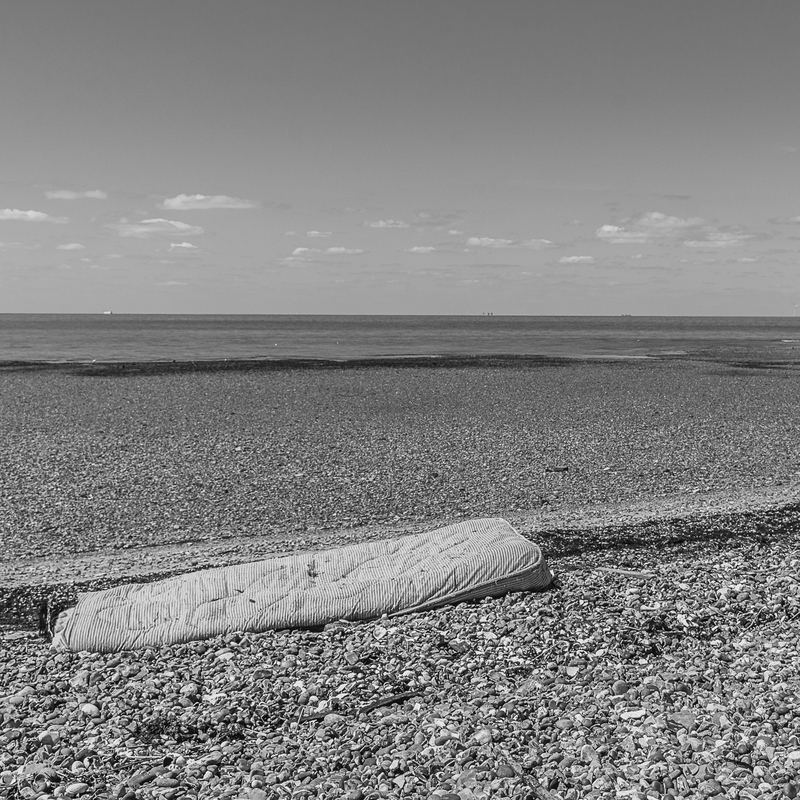 Its internal context being the mattress, the beach and the expanse, The original context and even the external context is similar to the previous image. 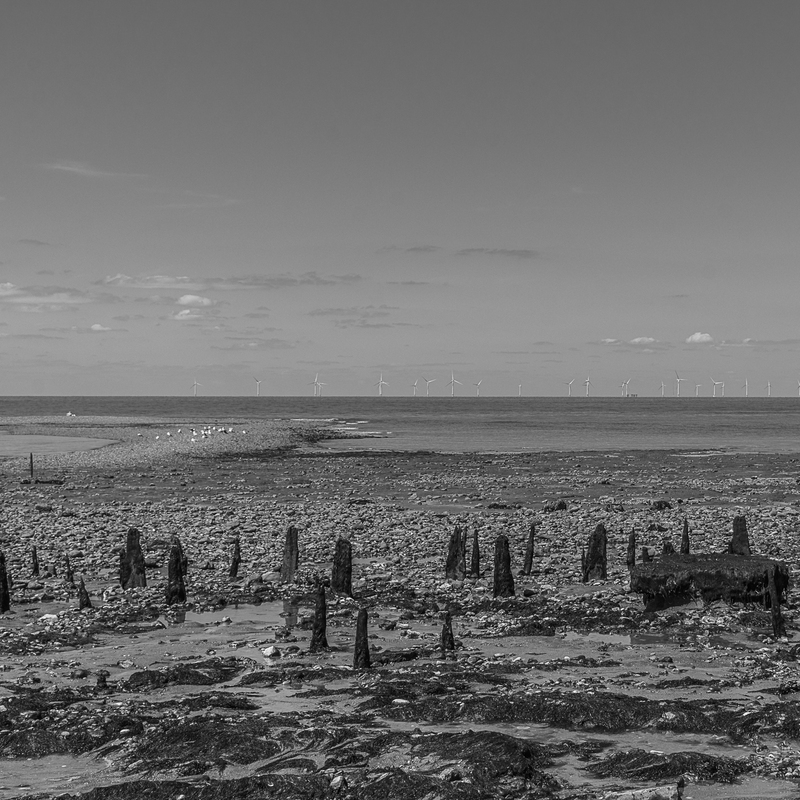 Traces of man with nature, in the first image the old wooden groynes almost look natural against the modern wind turbines in the distance , this is also shown in the second image where man-made sea defences almost appears natural against the stark modernity. And in the third image we can see the additions made my man kind on the landscape in a bid to ‘enjoy the view’ a view that is gradually being hidden by development. Only those privileged to own huts can look out to the lapping waves, must we pay a premium to enjoy what nature gave us all? 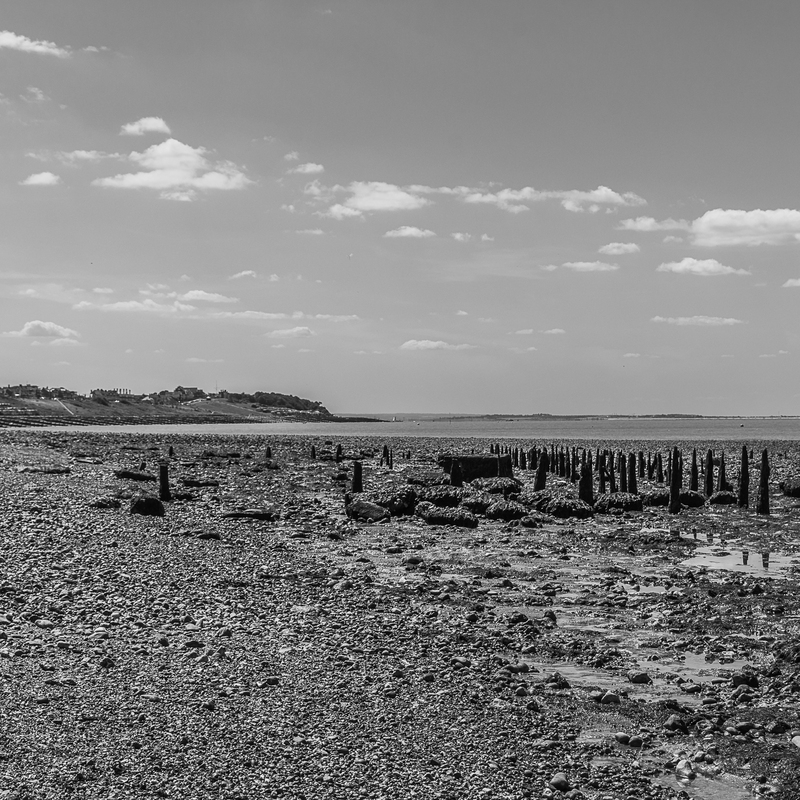 My final two images concentrate on what I feel is the compositional style of Fay Godwin rather than the environmentalist. 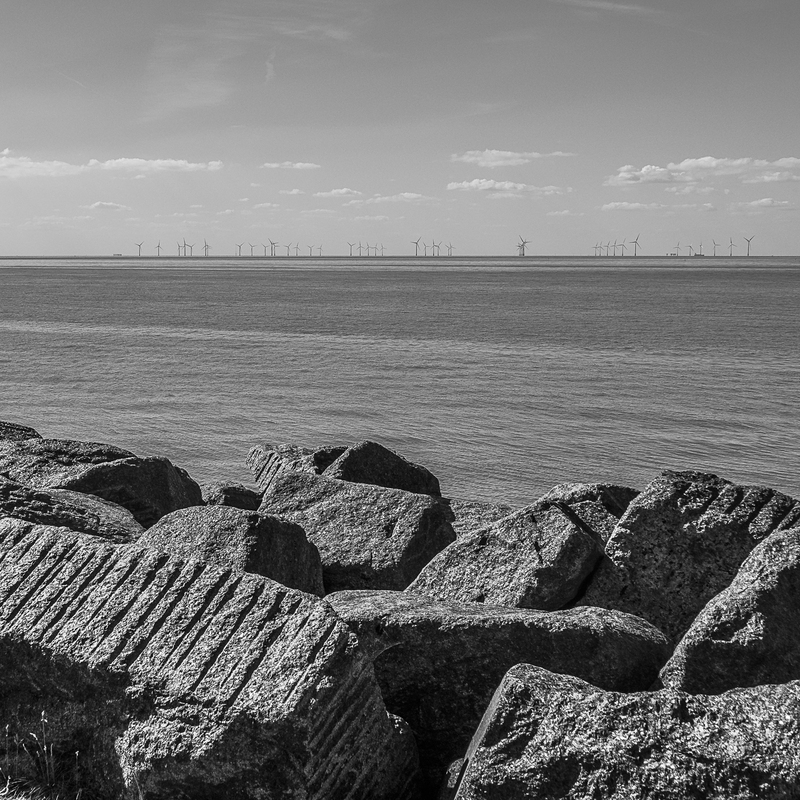 The strong vertical lines lead your eyes upwards towards the clouded sky, the image is sharp with a deep depth of field and successful contrast, although not as much tonal range as I would have liked. 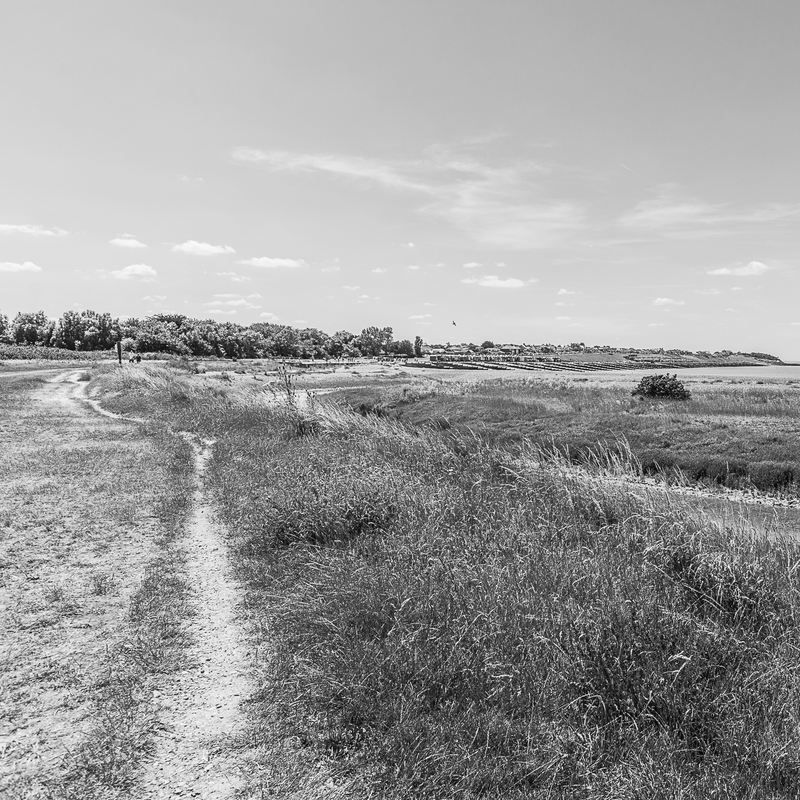 The image maintains its simplicity and is a view often observed, it highlights the expanse of the countryside. There is still an imprint of man as the tracks in the field are not left there by nature but it shows a harmony between man and nature. 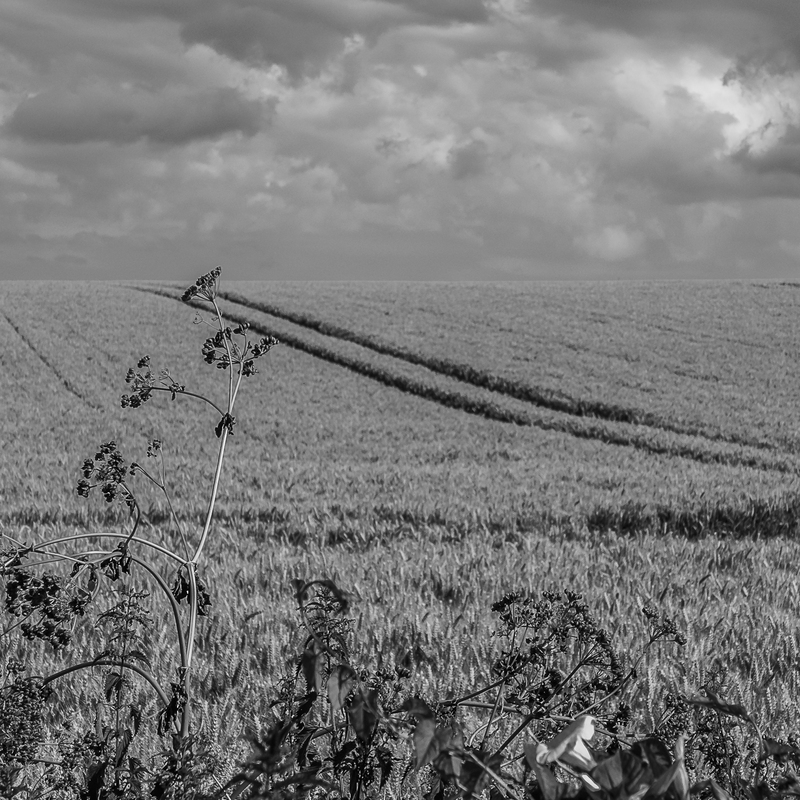 Original: The hand of man in nature; the hedgerows and nettles made by mother nature look on to the cultivated fields of wheat, our eyes drawn up the tracks to the backdrop sky provided again by mother nature. 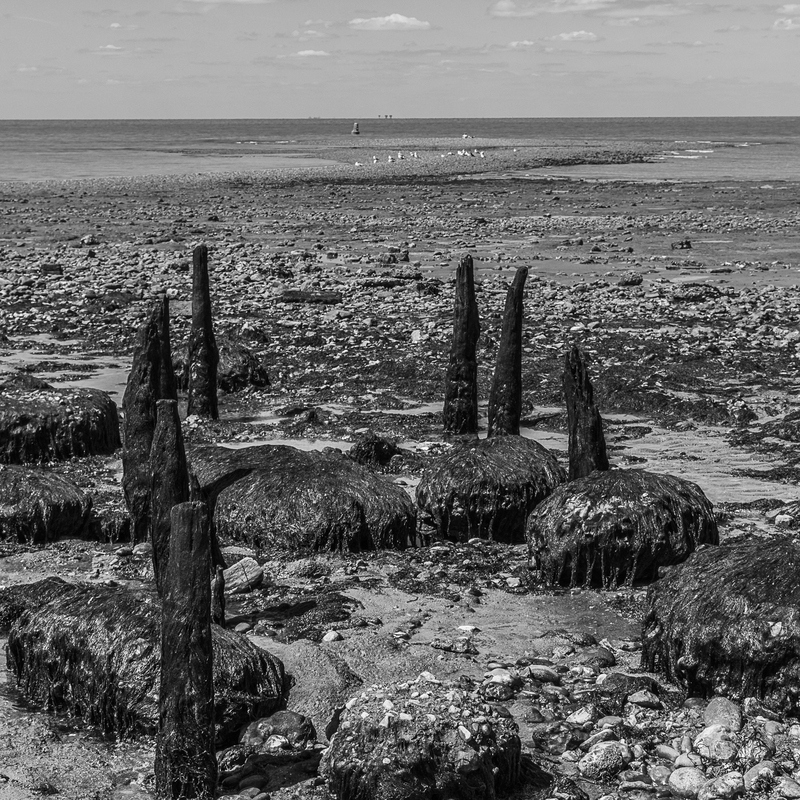 This Image is my favourite, I love the contrast of the looming shadow over the ruins, it looks out to a sea unobscured by man. 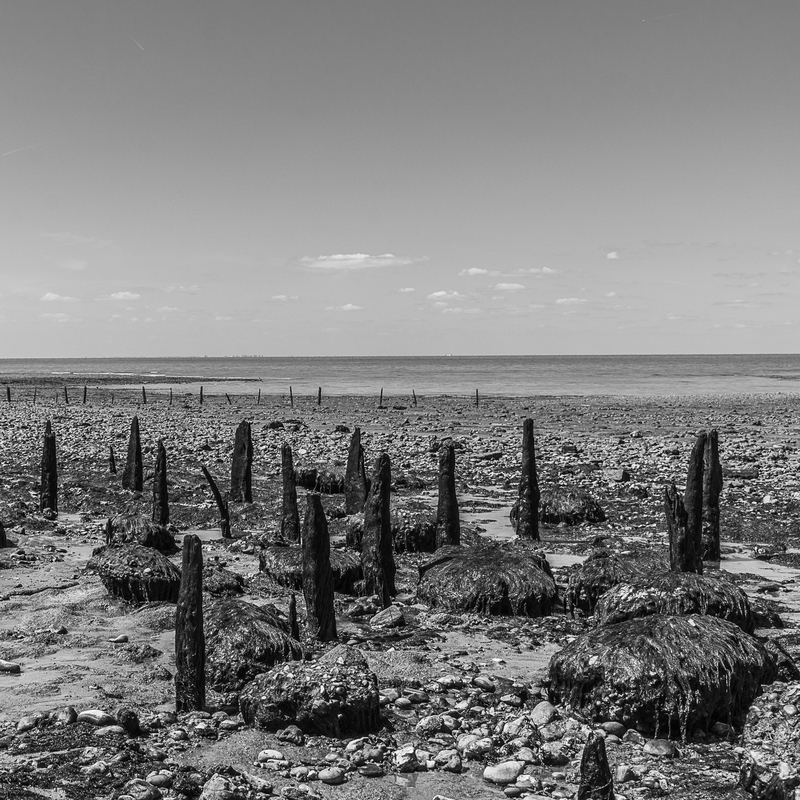 The strong contrast, strong leading lines , shapes and deep depth of field are in keeping with Fay Godwin’s style. 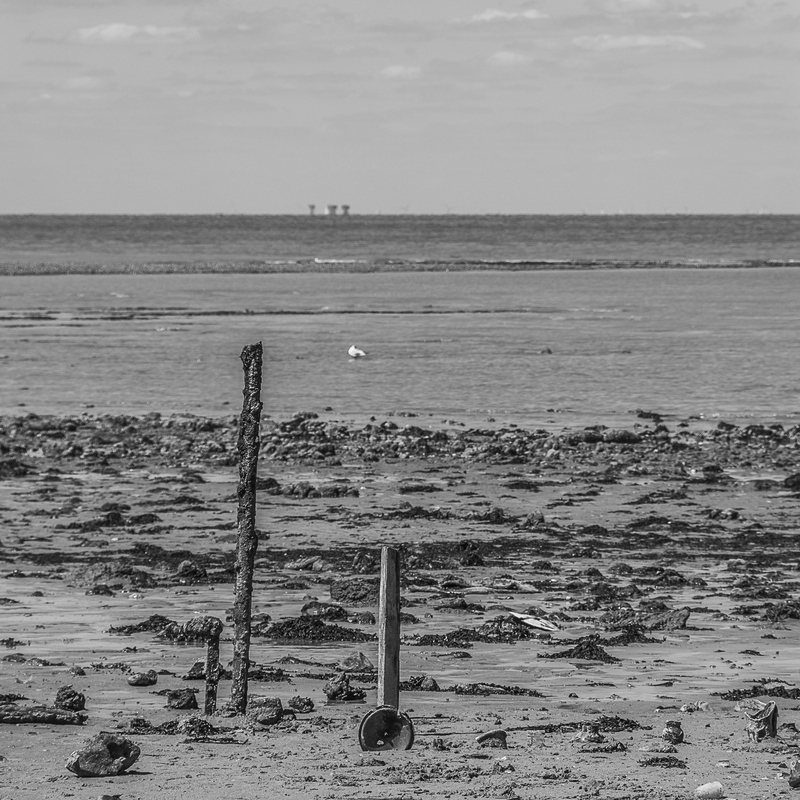 Internal context: Ruins looking out to sea. 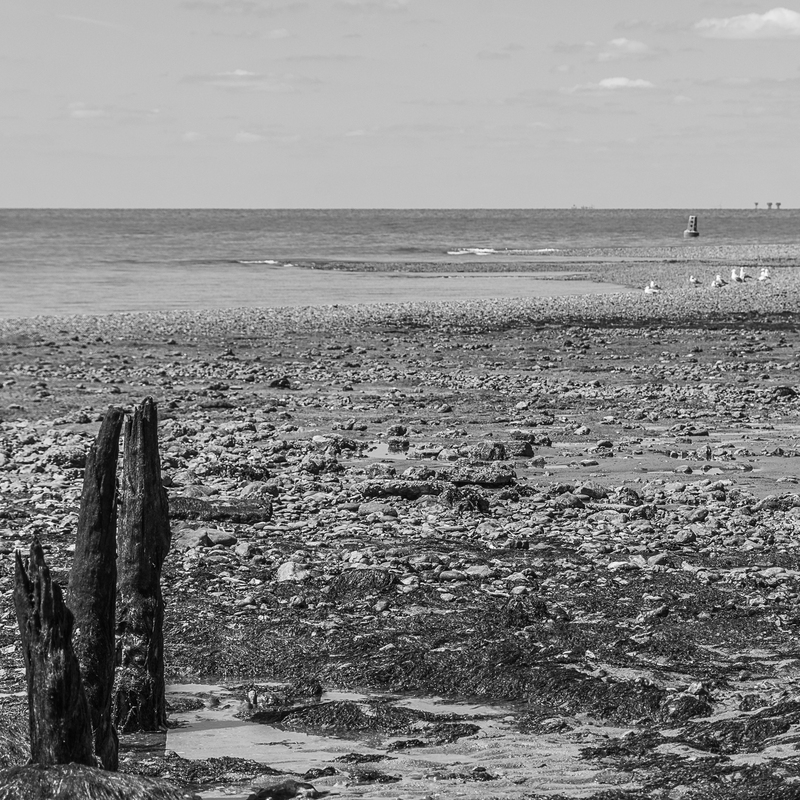 Original context: The dark looming shadow signals foreboding as the ruins look to sea. The towers now stand as a marker to our heritage and history and is not considered a blight to the land, I wonder if this were true at the time it crumbled? will we look at crumbling 70’s facades with the same romanticism in the future? 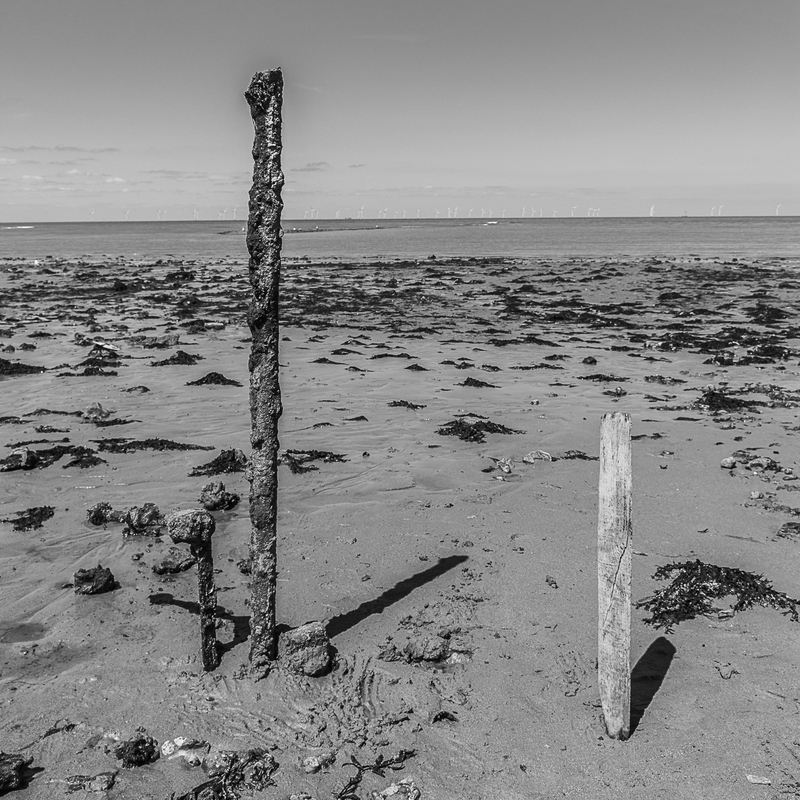 or is this a sign that whatever is manmade is temporal, mother nature, the land and sea, will outlive it all? All that will remain will be footprints of our existence in the earth, similar to fossils in our seas. 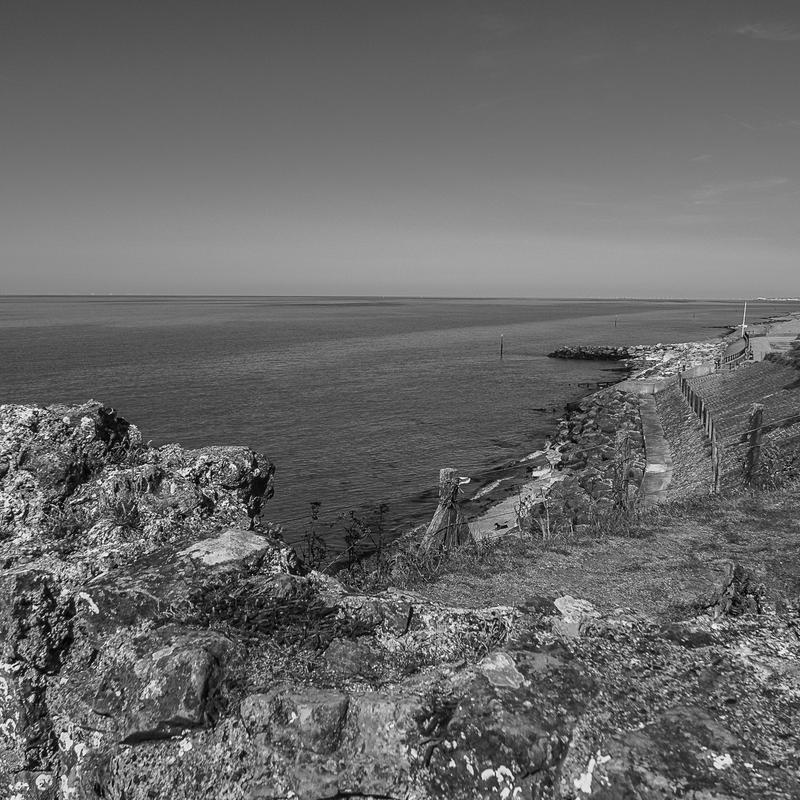 External context: This image could easily be shown in a tourist guide of the area, advocating the beauty of the ruins or it could be placed into a series of images of crumbling buildings destined to end in the sea.